Affiliate marketers often forget they’re promoting products and services to real people and not just numbers on a screen. This can be hard to remember when all they see are traffic numbers, click through rates and conversion rates. However, if you really want to increase your revenue, you need to learn and understand human psychology. The human mind is an incredibly miraculous thing. The brain has approximately 100 billion neurons and each one fires 200 times per second. This basically means that your brain moves 20 million pieces of information, every second. Since everyone’s brain is moving so fast and constantly processing information, you need to understand what makes people buy and what you can do to increase your own conversion rates. Thankfully, we have it all figured out and will now look at exactly how you can use human psychology for your affiliate business. This may seem to go against common logic, but if you present your customer with more options, it will increase the likelihood that they’ll buy ? right ? In actuality, when you present people with more choices, this ultimately results in a feeling of being overwhelmed which reduces their chances of purchasing. This is a very well documented phenomenon in human psychology and you should definitely pay attention to it. As a result, you should stick to offering one or two different products to your audience and this will increase your conversions. It will greatly reduce the feeling of being overwhelmed and help the purchaser to make a decision quickly as opposed to pondering a wide array of possibilities. It’s no secret that we’re all emotional beings.. it's a part of what makes us human. However, when it comes to marketing, you need to tell a story that engages people with your brand. The worst thing you can do is just spout out facts, features and benefits and expect high conversion rates. Even if you’re promoting the best affiliate product in your niche and it's the most affordable or has the most benefits, you need to market with emotion. Tell a story and get people interested and connected with you. That is what separates the beginners from the advanced marketers. According to psychologists, the law of reciprocity is when someone does something for you. You have a deep urge to do something for them in return. In some cases, the way you reciprocate may be far more generous than what the person initially did for you. So, how can this be applied to affiliate marketing? If you offer something valuable for free to your visitors, then they are more likely to purchase your affiliate product. For example, if you’re trying to sell a course on how to train your Golden Retriever, then you can offer a smaller course on how to potty train your Golden Retriever puppy, for free. If you take your time to create a free course that is valuable to your visitors, then they will feel a deep psychological urge to purchase your paid course immediately or later. This is the reason why many marketers urge you to create some sort of free offer. Simply put.. it works! It is quite effective whether you’re trying to build an audience, get people to subscribe to your email list or get them to buy your affiliate products. Most people are naturally doubtful and suspicious. For good reason as well! These feelings are a result of natural selection and the humans that were more careful and doubtful in our past often ended up surviving where the more naive ones did not. With respect to affiliate marketing, you need to think about all the reasons a person may have in regards to not purchasing your product. You should try to predict any potential issues or doubts they may have and seek to provide reassurances for each one of them. Humans automatically fear scarcity. 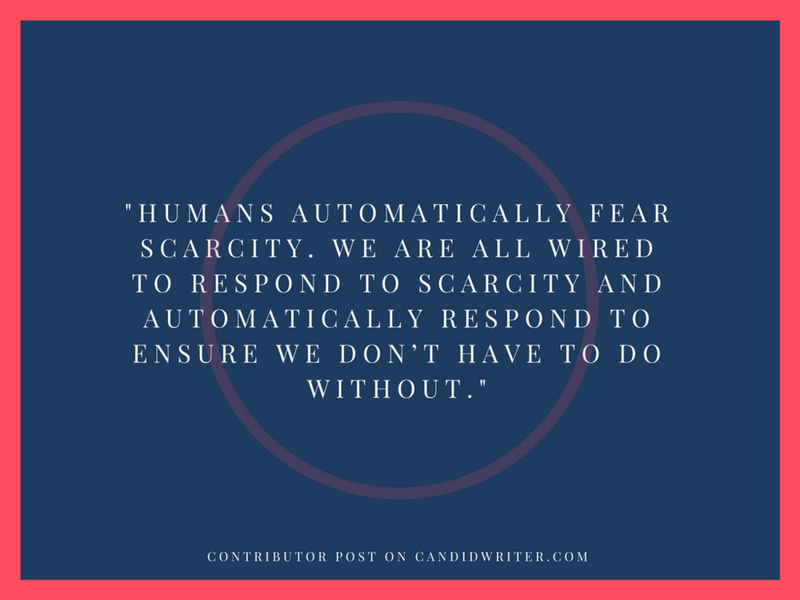 We are all wired to respond to scarcity and automatically respond to ensure we don’t have to do without. One of the best ways you can recreate this as an affiliate marketer is to have a countdown timer on your product, and once the countdown hits zero, the product is no longer available. Another way you can appeal to a person’s sense of urgency is to only offer the product at certain times during the year. You can also offer a significant discount on the product, with a limited time offer. It is important that you don’t overdo this tactic or else you may negatively affect your brand and make it seem unauthentic. Before a person buys a product, they want to know if it will work for them. If they are unsure then they probably won’t purchase it. As a smart affiliate marketer, you know that in order to persuade that person to buy you need to show them how other people have successfully used the product and benefited. Reviews and testimonials should never be overlooked. Testimonials help people to identify with your product and show that it is actually worth buying. Getting reviews that are particularly emotional and show how your product changed that person’s life are priceless. These types of reviews, will sky rocket your conversions. However, you should never create fake reviews or testimonials since these will endanger your affiliate business. Crowd mentality is quite common and its basically when you literally “go along with the crowd” simply because we are all psychologically wired to want to feel like we belong. This includes buying products. Have you ever noticed that you suddenly want the latest iPhone once most of your friends have one? As a result, marketers can take advantage of this by showing how many other people like and buy their products. This can be done by showing how many people have purchased it, showing how many people have liked or shared it on social media etc. Of course.. for this to work, the product needs to have a significant number of sales, likes and shares. As you can see, understanding human psychology can help you to become a much better affiliate marketer. However, even though it may be tempting to take advantage of this knowledge you should alternatively strive to use it to actually promote products that add value to your customers lives. After all, once you keep adding value you will earn more than just one-off customers, but happy customers and fans for life. Cindy Sha is an entrepreneur, writer and internet marketer with a passion for SEO and affiliate marketing. When she’s not building authority sites, she can be found writing for NoHatDigital and enjoying the digital nomad lifestyle.